The Wi-Fi Alliance, the group responsible for the wi-fi spec and security, will adopt new testing enhancements to continue to evaluate and refine WPA2. The boosts to the specification's quality assurance will "reduce the potential for vulnerabilities due to network misconfiguration" and "further safeguard managed networks with centralized authentication services" according to the group. Four new capabilities for personal and enterprise Wi-Fi networks will emerge in 2018 as part of Wi-Fi Certified WPA3. Two of the features will deliver protections even when users choose passwords that fall short of typical complexity recommendations, and will simplify the process of configuring security for devices that have limited or no display interface. Another WPA3 feature will strengthen user privacy in open networks through individualized data encryption. Additionally, a 192-bit security suite aligned with the Commercial National Security Algorithm (CNSA) Suite from the Committee on National Security Systems, will further protect Wi-Fi networks with higher security requirements such as government, defense, and industrial installations. Little else is known about the new protocol at the moment. It is not yet clear if new hardware will be required to implement the protections of WPA3 —but it seems probable. Hardware must be certified by the Wi-Fi Alliance to use WPA3. Also not clear is how or if Apple could adapt it's aging AirPort hardware to the new security protocol. 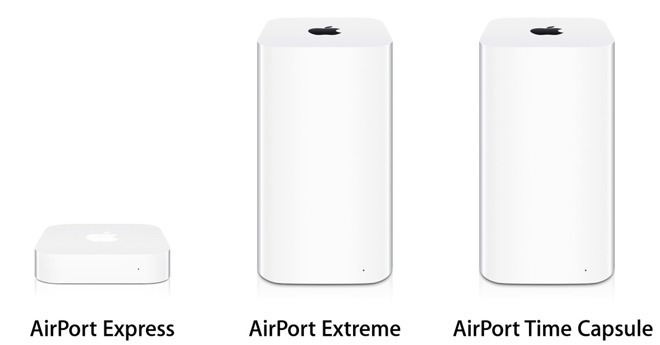 While Apple's routers are still available for sale, the last upgrade to the hardware was made in June 2013, and Apple has cleared out the dedicated AirPort hardware division. However, Apple has continued to update the family's firmware, and has told AppleInsider that it will keep the AirPort "as safe as possible for as long as possible." "The hard drive iPod people were gone for a long time, when we issued the last update for the iPod classic firmware," we were told by our contacts within Apple not authorized to speak on behalf of the company in December of 2016. "Just because the hardware guys have moved on to other things, doesn't mean we won't support the software."